Franchise - Mom's Table Home-Cooking To Go! 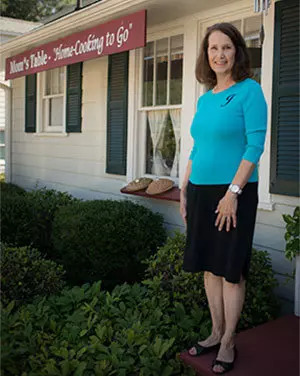 Hi, I am Joanne Rooks and in 2008 I founded Mom’s Table (Roswell’s #1 Home cooking to go franchise) as a way for busy people to be able to have a home cooked comfort food meal for any night of the week in 30 minutes with little to no prep work. 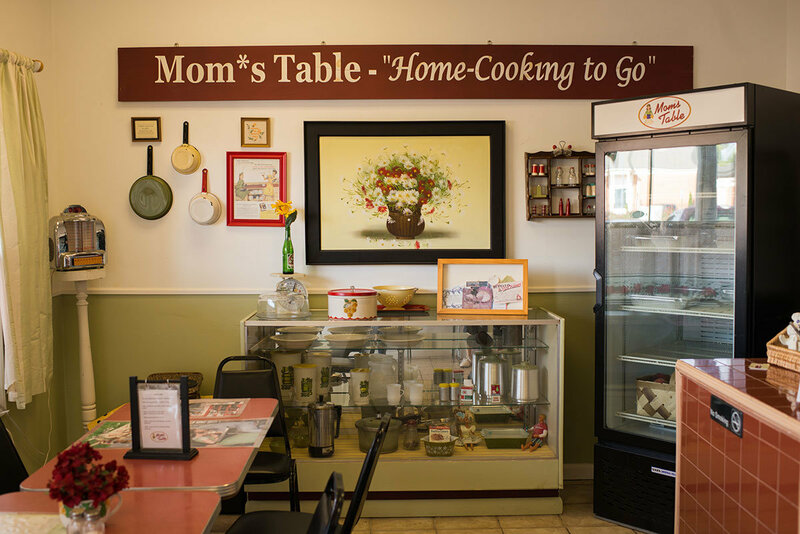 Mom’s Table is not a restaurant, but a retail location for prepared foods that is easily accessible for people on their way home. My food is like what Mom or Grandma used to make when you were a kid. The catering business and Holiday favorites have been popular also. Are you the kind of person who loves to meet new people and build relationships with customers? As an owner, you must be active in the operations of the everyday business. A dedication to our customer service model at all times is a must. If you have an entrepreneurial spirit and are unafraid of hard work then you will fit right in. The owner must be willing to put in as much as 55 hours per week. We work Monday through Saturday. Are food and food preparation your passion? You must be dedicated to our methods, our menu, our work culture, operations and mission as stated in the operational manual. Do you have a can-do attitude towards learning new business skills. You must be a good decision maker and able to multitask. Communication is a must with customers, vendors and staff of all ages. Our concept is structured to provide a profitable, low-investment business opportunity for franchise candidates. It is a way for franchisees to become a fixture in their community while offering a product people love. Our food is prepared with high-quality ingredients, using recipes some of which were handed down to me by my mother and my mother-in-law (both having grown up on farms). The rest were recipes I collected for my own family over the years. I hope if this opportunity sounds exciting and you believe it is a good fit, that you would ask for more information so we could speak soon. Mom’s Table thanks you for your interest in our franchise program. Interested in this opportunity to own your own Mom’s Table franchise? Complete the form below or call us at 770-552-7515 and learn how to get started! Do Your Research- Visit our corporate website to get a better understanding of our concept. Inquire Today- Want to become your own boss? Complete the form today or call us at 770-552-7525 for more detailed information on this franchise. Discovery Day- Meet with us. We’ll share our story, introduce you to our team, and show you how easy our model is to duplicate and scale. Mom’s Table has developed and implemented a model that is based upon a flexible growth strategy that has been in operation since 2008. 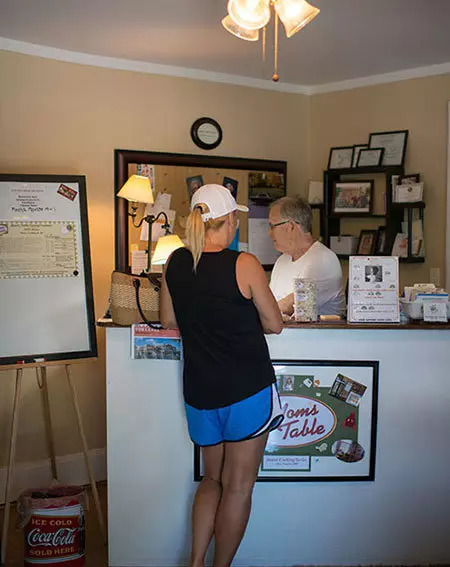 Mom’s Table, founded by Joanne Rooks, offers old-fashioned cooking for people that love healthy, home-cooked meals, but lack the skills or free-time to make it themselves. Mom’s Table has been a profitable success and is now launching a franchise program. 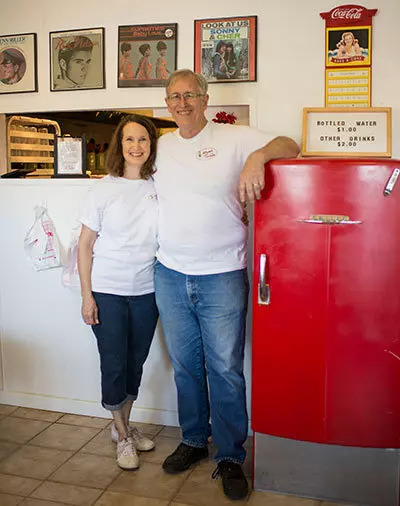 At Mom’s Table the owners Joanne & Scott will personally offer unrivalled training and support to each franchisee as they join the franchise family. The company’s operating model is simple and has been structured with well-defined processes which allow for ease of replication. Initial training will be held at the franchisor’s headquarters in Roswell, Georgia. But the owners will be there every step of the way as you set up your Mom’s Table franchise. Mom’s Table has a strong operating model in place. It also has strong differentiation from the rest of the home-cooked meal businesses in the franchise marketplace. Mom’s Table is the high-performing exception within a very lucrative and growing industry.